The current school year is seeing an increase in students being hit by vehicles that illegally pass the school bus when the stop-arm is extended and the lights are flashing. The resulting deaths and injuries have helped launch a widespread national awareness effort to put an end to these acts. Several states already have laws that authorize the installation of stop-arm cameras on school buses. In addition, several more states are in the process of legislating harsher penalties for violators, or for installing the cameras themselves. Idaho, Maine and Delaware are among the states where bills were introduced last month on school bus safety issues. For example, Idaho SB 1131 was signed into law by the governor on March 27, 2019. SB 1131 increases the fine for any person who passes a school bus while the stop-arm is activated and the lights are flashing. The bill specifies that a first offense will cost no less than $400, while the second offense within five years will be assessed at no less than $600. The bill also says that any fine amount over $100 will be paid into the school bus camera fund that was created by the state treasury. The money is to be used only for installing cameras in school buses, in order to enforce the traffic law. In Delaware, Rep. Kimberly Williams introduced a similar bill on March 26. HB 111 states that school districts and charter schools in Delaware are to use external cameras on school buses to catch motorists who illegally pass school buses. The bill also says that the footage will be used to punish these motorists by issuing them a civil penalty. The bill will be sent to a committee hearing within 12 business days, officials indicated. 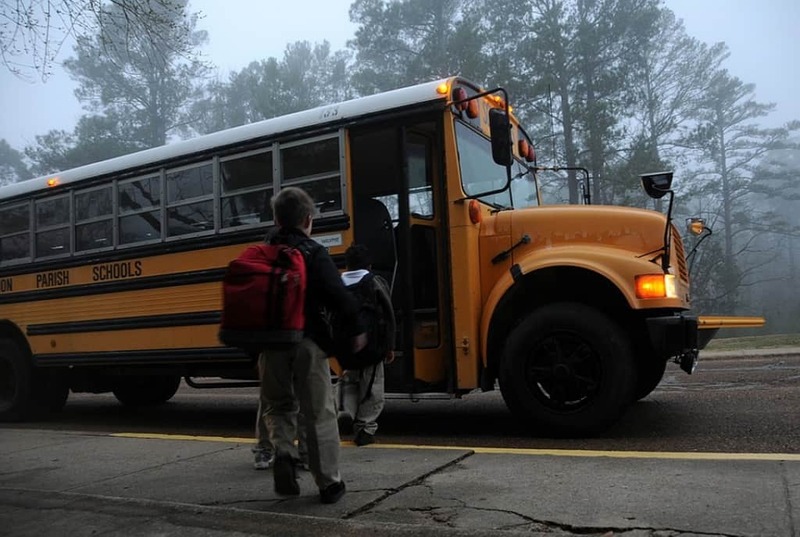 In Maine, LD 656 would increase the penalty for passing a school bus that has its red lights flashing. It was introduced on March 14 to the state senate, but was placed in legislative files and was then killed. According to data collected by STN from local news articles, 12 children were killed and 47 were injured during the latest six month period (August through the end of March 2019), while attempting to board or disembark their school bus.